Texas Wildflowers Art Gallery. Texas is known for the incredible seasonal displays of wildflowers that grace the highways and Texas wild flower gardens of the Lone Star state. We have gathered a sampling of some of the best Texas wildflower art which is perfect for decorating that Texas home or office. Whether you are an art collector of Texas artists like Dalhart Windberg, Texas State Artist,who is known for his gorgeous Texas landscapes. 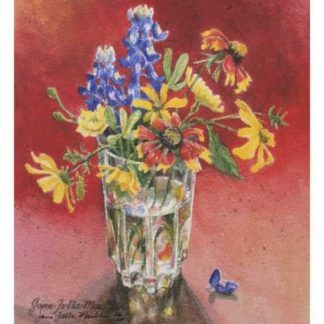 Or Jane Felts Mauldin, Texas Hill Country artist who specializes in watercolor Texas wildflower and Texas landscape art. 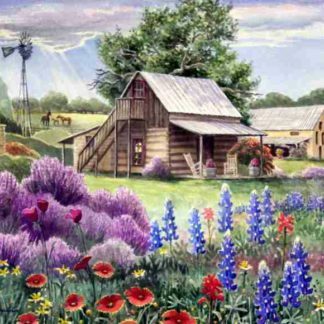 Or you simply love flower art and specifically Texas wildflowers art, click on any picture below.